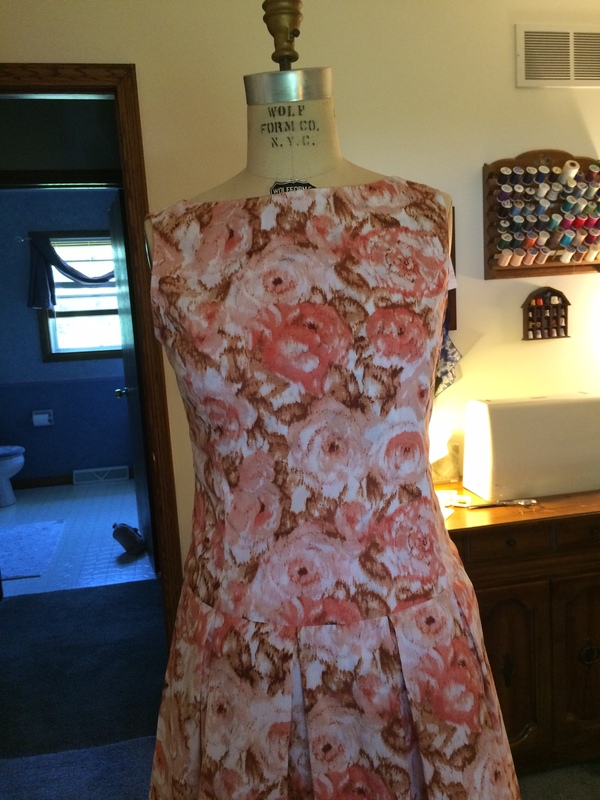 It is finished…my lovely rose print dress is complete! 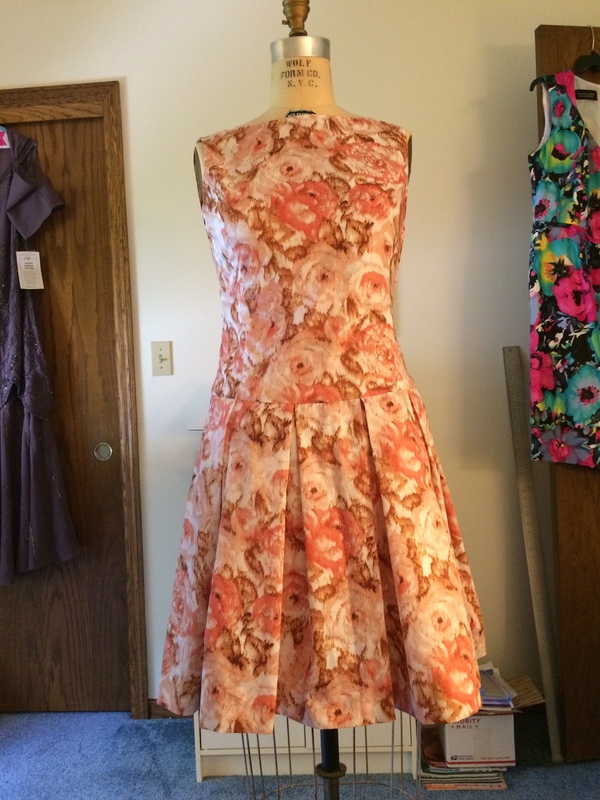 I thoroughly enjoyed hand overcasting the hem edge, hand felling the armscye and neckline facings, hand-picking the zipper, and self-lining the bodice. The china silk skirt lining adds just the right amount of body to the box pleated skirt. 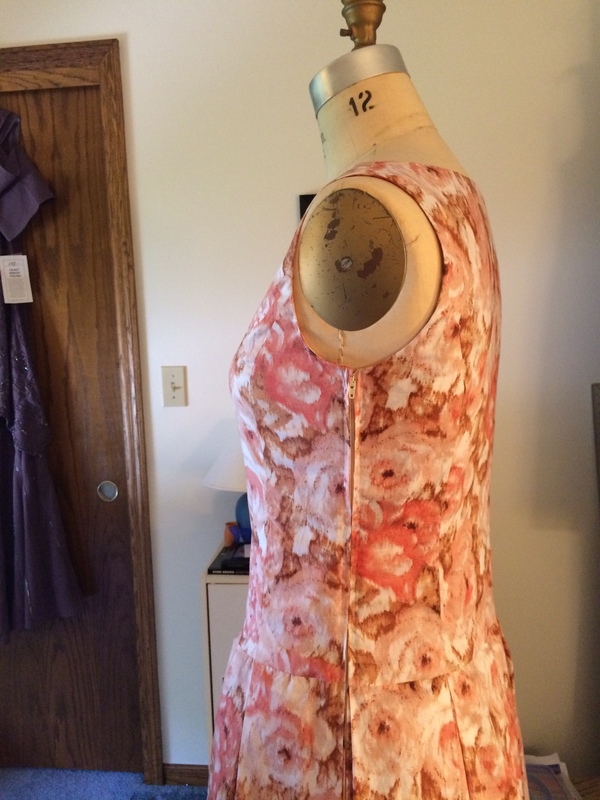 Ahh…there is simply nothing that matches the joy of couture sewing techniques! Previous:Monday Spiritual Ruminations: Feeling the feeling…. Next:Feathering Friday: A New You?? Very Pretty if only I was a dress person 🙂 they always seem to look better on the mannequin. Love the print.